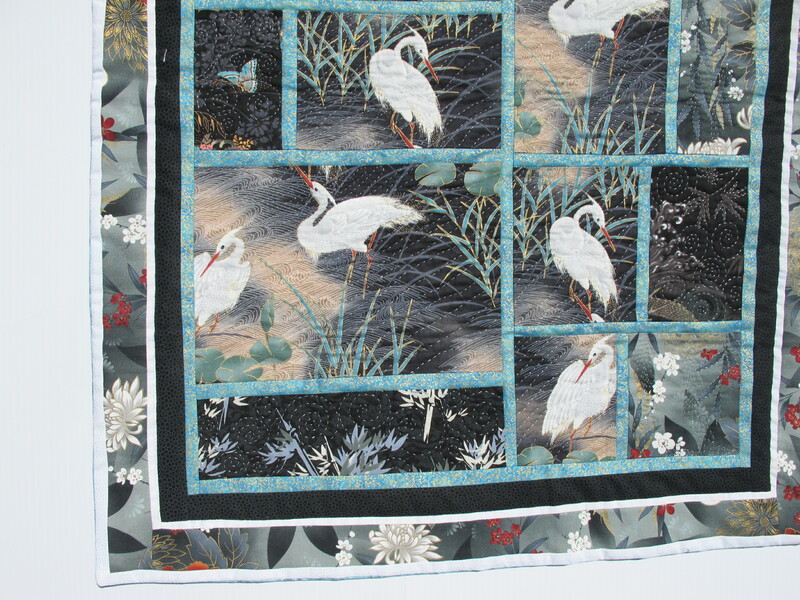 This quilt uses some of my favorite colors in a blend of teals, black and white with touches of gold and turquoise. 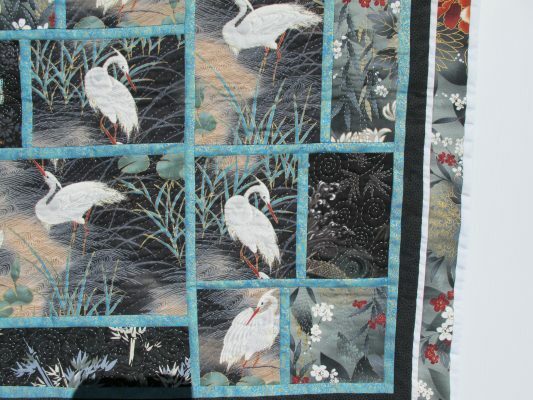 The entire quilt has been hand quilted with wavering water ripples and small eddies for texture and to emphasize the watery marsh the birds are wading in. 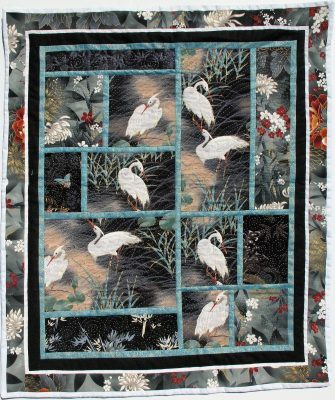 This quilt has a sleeve sewn at the top in the back for easy hanging on the wall. It measures 25.5 ” wide by 31″ height. Private owned, sold at Paradise City Arts Festival in Northampton, MA.